Join Paint & Bake Ceramics at the Cold Spring Branch and make your own special family heirloom for the holidays! 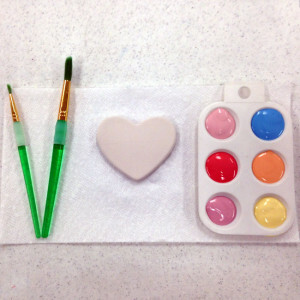 Choose from a variety of common holiday designs, and paint it to make it a masterpiece! One ornament per patron. Register now as spots are limited. Finished ornaments will be available for pick up at Paint & Bake Ceramics in Cold Spring at least 12 days after completion.